Home/Hookahs, Information, News/What is a Hookah? 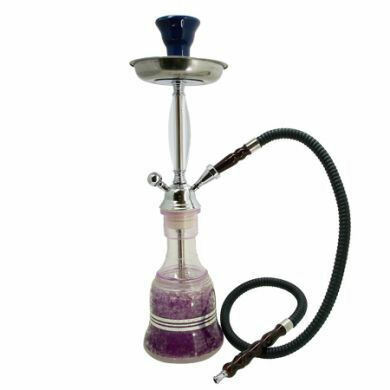 The hookah is a popular method of smoking tobacco wherein the smoke is cooled and purified by passing through air. This generally results in a more comfortable experience, although there are no known health benefits of smoking hookah over traditional cigarettes, despite unsubstantiated claims of lower resin and tar being released into the lungs. The origin of the hookah can be traced back many hundreds of years to India or Persia. It is unknown who actually invented the device, although Hakim Abu’l-Fatḥ Gīlānī is credited to have brought it to India in the mid-1500s. The earliest known reference to the hookah is Persian poem dated to 1535. Hookahs, especially in the United States, are smoked in places called hookah bars. Hookah bars are particularly popular in urban areas and college towns as a way to socialize and embrace multiculturalism. For many people, the hookah bar is first and foremost a social event.